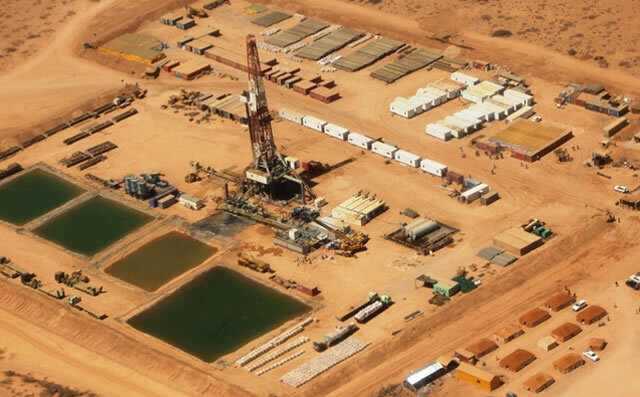 (HornTrade) – Horn Petroleum has encountered further oil at its Shabeel-1 well that it is currently drilling in Puntland, Somalia, according to stock exchange announcements made in London on Monday from Horn’s partners Range Resources and Red Emperor Resources. The firms previous ly reported that a gross section of 490 feet (150 meters) of oil, with possible net pay of between 39 and 66 feet, had been found. But now that the well has been drilled to a depth of 11,235 feet (3,425 meters) further oil shows have been encountered in the deeper sandstones. On Monday oil analysts at Fox-Davies Capital commented that the news raised the potential that Shabeel-1 may have a commercial discovery, while also increasing the prospectivity of the remaining targets in the firms’ exploration portfolio in Puntland. Horn, the operator, holds a 60-percent interest in two Puntland licenses covering an area of 13,900 square miles in what the companies describe as the “highly prospective” Dharoor and Nugaal valleys. Red Emperor and Range Resources each hold a 20-percent interest.